I was recently offered the chance to try a week's worth of meals from gluten free ready meal specialists Ilumi. I've often found I get bloated after eating gluten containing foods so was intrigued to see if cutting it out would make a difference and also wanted to try out some foods in order to be able to recommend them to my coeliac friend, as finding gluten free convenience food is a total nightmare! At £45 for a trial week, this seems to be pretty good value. I was delivered a massive box full of gluten free porridge oats for breakfast, a box of oatcakes and oat biscuits for snacks, 2 gluten-free beers and a whole selection of soups, stews, curries and other meals. All of the Ilumi foods have been prepared in a special way that means you don't need to store them in the fridge. I found this a bit weird to start with as I'm used to putting any meat-related product in the fridge but they vacuum pack them in such a way it's completely safe not to. I'm not keen on porridge as the texture makes me feel sick, so instead got creative and turned my oats into gluten free granola with some honey, nuts and dried fruit which made for a delicious breakfast. I had a massive variety of lunch and dinner dishes to choose from - Spicy Tom Yum soup, hearty beef stew and a lamb Rogan Josh curry to name a few. Most of the main meals are quite 'saucy' - they definitely needed to be paired with rice or some sort of side dish to help make them less runny. A couple were slightly bland (pork and mushrooms) but perfectly edible. Others were delicious (Tom Yum soup and lamb Rogan Josh for example) and I will be reordering these separately to keep in the cupboard for days when I need something quick to eat. You'll need to add your own fruit and veg to the meals as they are mostly carbs and protein, but I really think there's a great variety to choose from, especially as they are all gluten and dairy free. After a week of eating the meals, I definitely felt a lot less bloated and have tried to reduce the amount of gluten I have in my diet as a result. 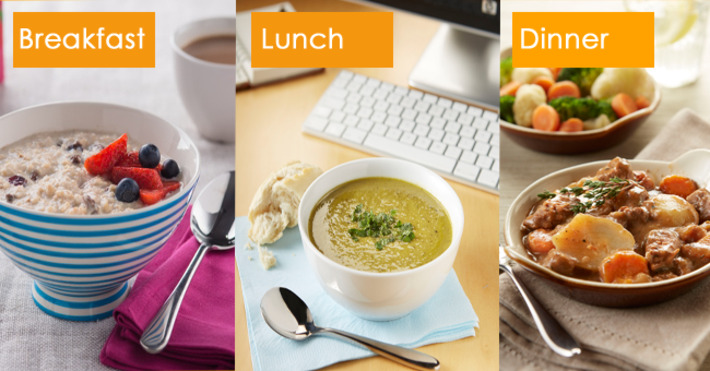 The one week trial costs £45 for one person, but if you fancy trying out specific meals you can order most items individually from the Ilumi site. I'd definitely recommend them if you follow a gluten or dairy free diet. While I wouldn't want to eat ready meal style meals all day every day, they're great for convenience and are pretty reasonably priced. Have you heard if Ilumi before? Do you like the sound of these meals? I prefer eating gluten free, just because I don't feel bloated or gluggy after a meal. Thankfully in Australia, a lot of people are gluten intolerent and now a lot of cafe and resteraunts cater for people you cannont eat gluten. Love your post by the way! The meals look great!